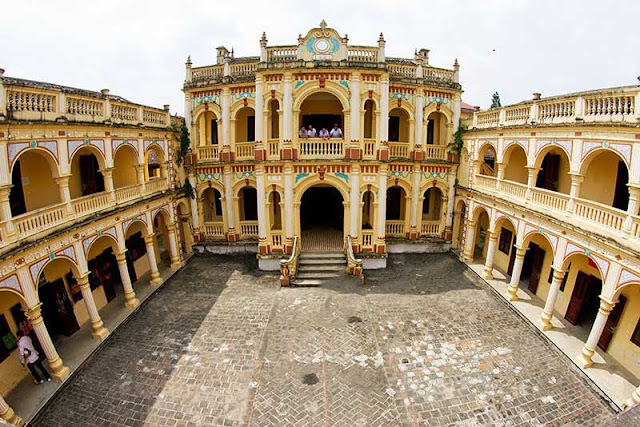 Standing between the center of Bac Ha, Hoang A Tuong Palace or also known as Hoang Yen Chao. Will be surprised by the outstanding features of architecture in Asia-Europe style harmonious combination, rectangular layout closed loop. According to history, the owner of the palace is Hoang Yen Chao ethnic Tay, father of Hoang A Tuong, was built in 1914 and completed in 1921. The palace is located on a large hilly south-east, behind and the two sides have mountains shielding, in front of streams and mountains shaped "mother hugging child", forming a unique picture. The entire palace has a total area of 4,000 square meters, surrounded by fence protection, four sides have holes and a guard. 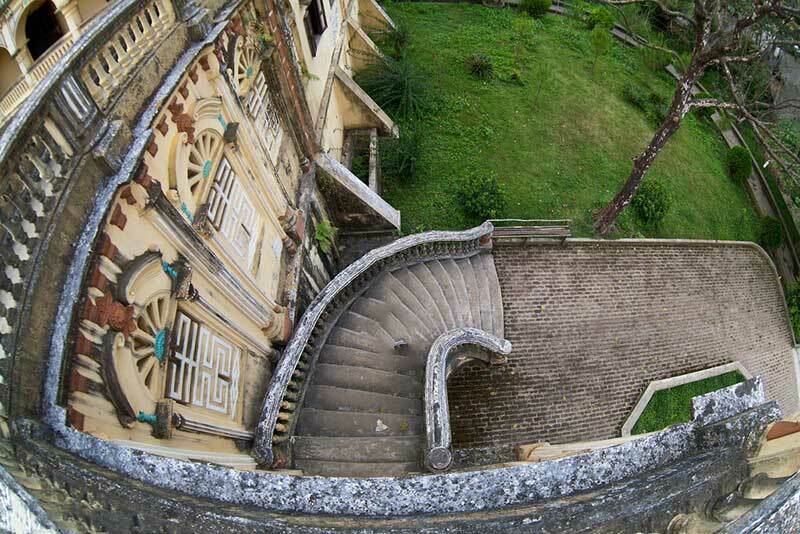 Not only astonished by the enchanting nature, when visitors to the Hoang A Tuong Palace was enthralled by French architecture in the 17th - 18th centuries and Oriental architecture. When entering the palace, will see a large courtyard in the middle, the back yard is the main two-storey building. Here visitors discover the life of the family. There are also suburban blocks with simple architecture used for warehouses, for soldiers and women.